Reprint. Translated from the Polish This translation originally published: 2014. 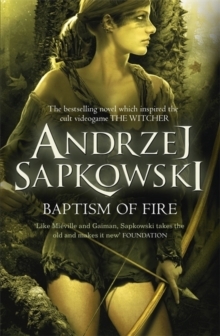 The next story in the bestselling series that inspired the world-famous WITCHER games!The Wizards Guild has been shattered by a coup and, in the uproar, Geralt was seriously injured. The Witcher is supposed to be a guardian of the innocent, a protector of those in need, a defender against powerful and dangerous monsters that prey on men in dark times. But now that dark times have fallen upon the world, Geralt is helpless until he has recovered from his injuries. While war rages across all of the lands, the future of magic is under threat and those sorcerers who survive are determined to protect it. It's an impossible situation in which to find one girl - Ciri, the heiress to the throne of Cintra, has vanished - until a rumour places her in the Niflgaard court, preparing to marry the Emperor.